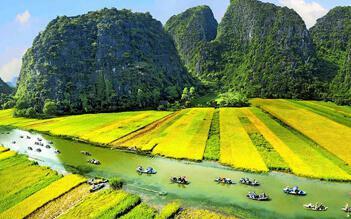 Apricot cruise offers the interesting trip to Halong Bay. 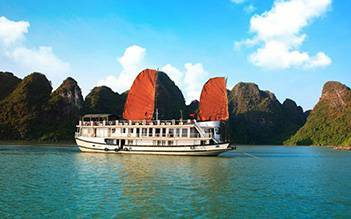 Experience Halong Bay on Apricot cruise, one of the best mid-range cruises available. 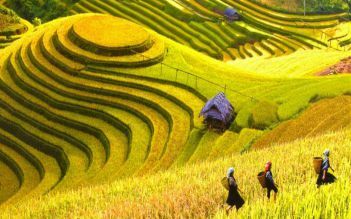 You will not only see many fantastically shaped islands, beautiful beaches, and great natural caves, but you will also learn more about Halong Bay’s history and local people. 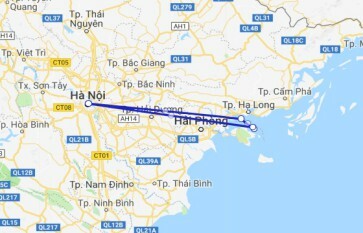 7:45 - 8:30: Optional shuttle bus pick up at your hotel in Hanoi Old Quarter. Enjoy the peaceful scenery as we travel through the countryside, farmlands and Red River delta. 12:00 – 12:30 Arriving Tuan Chau Marina .Welcome board the cruise . Meet the captain , crew and join us for welcome drink as we tell you about life on board. Check into your cabin . Time to refresh and unwind. Explore the Surprising Cave – the most beautiful cave in Halong Bay. It is one of the widest grottoes in Halong Bay with thousands of stalactites and stalagmites. Back to the APRICOT Cruise, We will take you to visit the Titop Island – swimming. 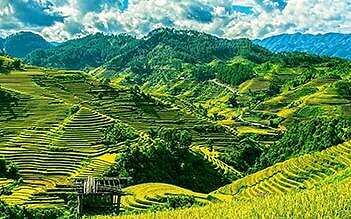 Climbing up to the Top of the Island – take the best view of Halong Bay in the Summer time or visit a floating Pearl Farm Village and learn the technique for making high quality pearls in the Winter time. Everning Relaxing: Dinner is served. Socialize with other guests, take part in boat games, fish for squid, or just laze around. 7:00 Have breakfast on board while the boat starts cruising to the Natural Preservation Zone. 8:00 Kayaking to explore the area or visit a floating house and learn about the daily life of the local fishermen who live there. 9:00 We board the cruise again.Take time to refresh and relax before checking out. Bags can be left in luggage store. 10:00 Join in the Cooking Class, teaching you how to make our specifically (Spring rolls) before an early lunch is served. 11: 30 – 12:00 Disembark at the harbor, Tuan Chau Marina. 16:00 Arrival back at your hotel in Hanoi Old Quater. 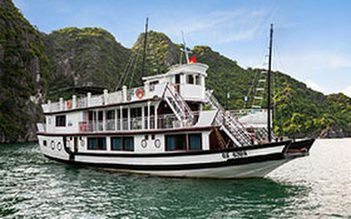 Had 1 night 2 day cruise.Pink was our tour guide and made our trip.She was very experienced and great fun to be with.Had a beautiful cruise with great food and entertainment.Ha Long bay is a must if you are travelling to North Vietnam.Very peaceful and amazing. Fot the 2Days, 1 Night cruise. Never had a major problem with apricot cruise, the rooms were clean, staff were polite and attentive, sleep was comfortable and I especially like that our tour was small with about 20 persons for a medium size boat. Wonderdul balcony area at the back of the ship. Our tour guide Tom was friendly and most helpful for questionz. However, food was just so-so and the wifi was unavailable during the cruise and only strong signal at the port area. Also, I hope they include the cost of juice, tea or softdrinks with the package. Overall, amazing experience in the Bay, Caves, Titop island, sunset and sunrise view and kayaking. The two day itinerary is action packed! Hiking, swimming, fishing, karaoke, kayaking, oyster farm, and a cooking class are all included. Our cabin was clean with a nice bathroom although the beds were slightly narrow and hard. Up deck there’s a lovely terrace where you can sunbathe while enjoying the stunning scenery. The included meals were delicious and plentiful with lots of fresh seafood. I would recommend as it is worth paying a little more for a pleasant experience. 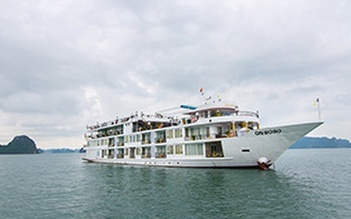 I had booked for ha long bay for two day one night. And I love that. The boat is not so new but the itinerary was fantastic. Food was great. Kayaking was super fun. The tour guide Peter was so fun and enthusiastic. High recommended. We went on a 2 day 1 night cruise and had heaps of fun. Lots of things to do and see. Felt a bit rushed but I guess it would have been boring if there wasn't much to do. 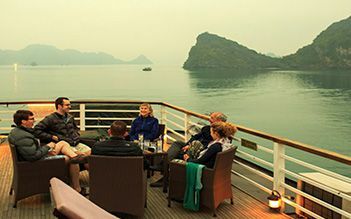 Many things to do on the cruise from sunbathing on the sundeck to a sunset party...from going deep into a cave to hiking up a mountain...from seeing an oyster farm to kayaking...tai chi...cooking class...squid fishing. Great fun! Our tour guide Pink was very helpful and gave lots of suggestions. Without her we would have been so lost. Rooms were fine for a cruise. Ensuite bathroom was a bit weird as the shower is part of the sink and is connected to it so if you turn it on, water goes everywhere including on the toilet. You must wait for it to dry or you risk slipping. Complimentary wine provided in room but it wasn't to our taste, there was also a fruit bowl. Drinks (all of them...including fruit smoothies) aren't free...they charge you on the last day. Wifi is poor as only 10 can be on at a time and even if you are on it is so slow its not even worth it.